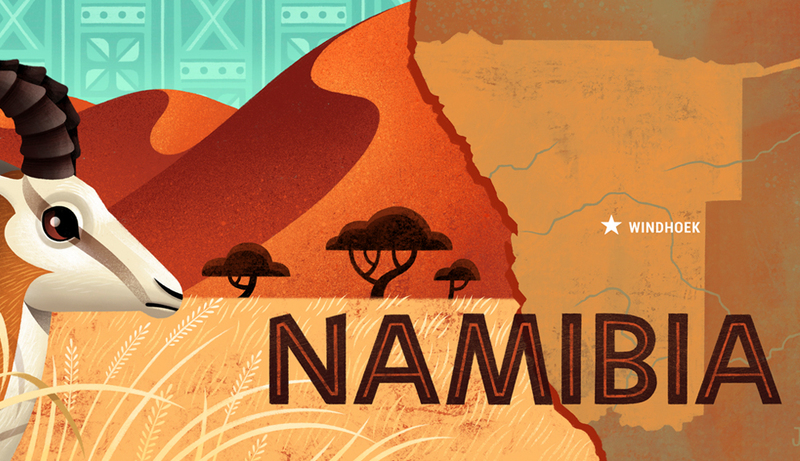 For the past 16 years, WPI Interdisciplinary Qualifying Project (IQP) students have been leaving their mark on Namibia, and the African nation has left an indelible imprint on them. The experience spurred some to join the Peace Corps after graduation. Another pursued a career in international development and now works in Africa. And many more have returned to the States transformed by the Namibian culture of positivity. The project center, which Peet and Art Gerstenfeld (professor emeritus, Foisie Business School) established in 2001, tends to attract adventurous students, says center advisor Sarah Wodin-Schwartz, assistant teaching professor, mechanical engineering. That was the case with aerospace engineering major Emily Chretien ’18, who says she couldn’t pass up the once-in-a-lifetime opportunity to spend eight weeks in Africa last spring. Chretien’s team of four traveled to the northern Namibian town of Oshakati to focus on the informal waste collecting industry. The students observed and interviewed the waste collectors—all women— who spend long hours at local dumps separating recyclables from the refuse. The women sell the glass, metal, and cardboard to processors, earning wages roughly 30 percent below the poverty level. Chretien was nervous that the women would view the students as meddling outsiders, and was surprised by their warmth and openness to new ideas. The IQP team found that the laborers could net higher prices for the recyclables by processing them on site. They researched various options, took into account the waste collector’s working style and preferences, and recommended installing a small-scale solar- powered plastics and aluminum shredding machine at local landfills. The team estimates the device will increase the waste collectors’ earnings by up to 330 percent per month. The project was a 2017 President’s IQP Award winner and the team’s partner—Namibia University of Science and Technology—is drafting a proposal to fund the machine. Other IQP teams in Namibia last spring calculated the use of car seats and child restraints among drivers in the capital city of Windhoek; created lessons on sustainable energy using smartboard technology; promoted the debut of MOOCs; looked at improving soft skills among employees of the nation’s railway; and developed a plan for small businesses to create and sell products using recyclable materials.